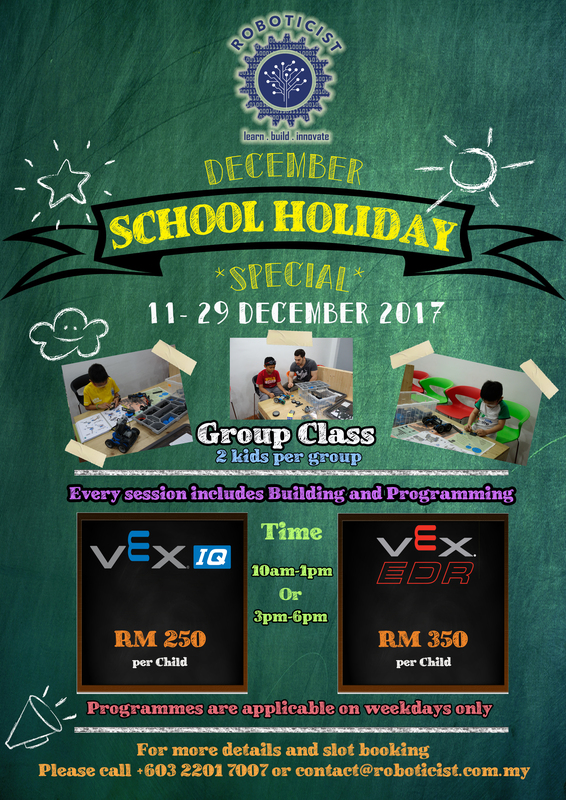 School Holiday Programme for this December month! Contact us now to book your slot! Venue: Roboticist @ 2F-30, Bangsar Village II, Bangsar Baru, Kuala Lumpur. *Pick any days between those date and time slot.